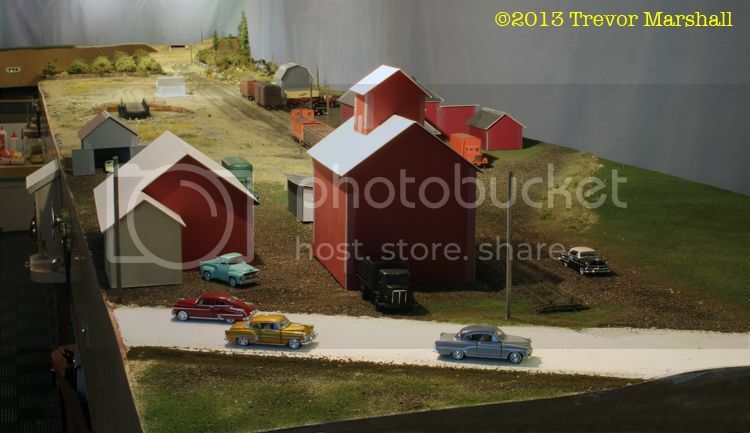 The preliminary scenery work at the end of the Port Rowan peninsula is now dry enough to return the building mockups to the layout, so here are a couple of updated photos of the area. This entry was posted in Port Rowan - Leedham's Mill, Port Rowan station, scenery, structures by Trevor. Bookmark the permalink. Hi Trevor and my apologies in advance if you’ve covered this before and I missed it. What do you use for your mockup buildings and how do you go about constructing them? I’m at the point in my layout construction where mockups will be priceless in figuring out final siding & fascia placement not to mention helping rough in scenery. BTW – just discovered over the weekend that we have a common friend in Dean Turta. Sorry we missed you at Springfield and The Steaming Tender Dinner this year, but fingers crossed for 2014! Great to hear from you and no need to apologize – it’s been a while since I talked about the structure mockups. I wrote about these in a blog posting called Instant Town in May of last year. But briefly, they’re made from artist board and simply taped together. Dean – I’ve just met him through my friend Chris Abbott. It’s a small world, it seems! 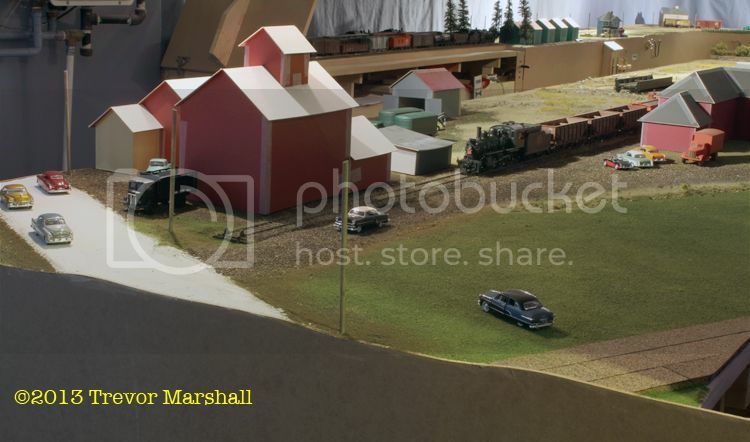 Walking down your back stairs and seeing a passenger train ready to leave Port Rowan, will just whet one’s anticipation to view the layout. Knowing that you will retreat to one of your close by pubs/breweries afterwards does not hurt either.